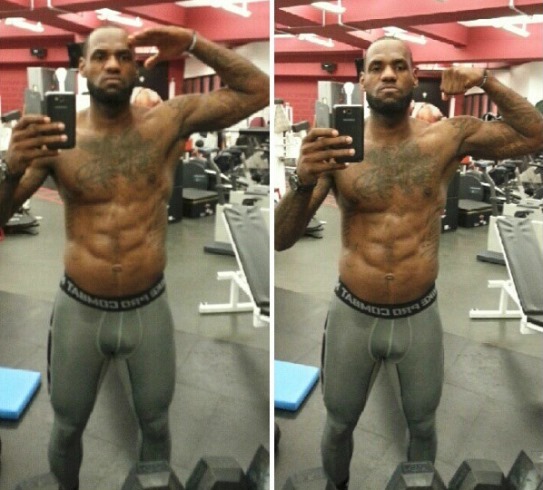 Lebron James shows off nice body on Instagram - Glitz Plus Ent. Lebron James took to social media to showcase his body. The basketball star posted this photo on his Instagram page with the caption “Somebody call 911. The weight room just got murdered! Lol. Off day training. #strivingforgreatness #focused”. Someone really needs to call 911.